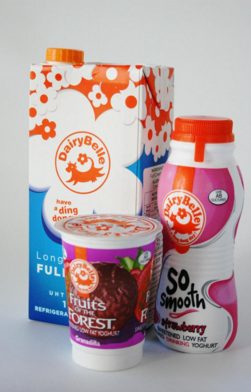 Different types of dairy products require different systems of reliable packaging machinery. To reduce costs and build a long-lasting system that works for your specific application, consider purchasing used dairy product packaging machinery instead of new models. Trusted companies like High Performance Packaging offer used fillers and other types of packaging equipment without any decrease in quality. One type of packaging machinery that many dairy products require is a filling machine. Milk, yogurt, butter, and other liquid dairy products need efficient filling machinery to handle the varying levels of viscosity with each product. Auger and volumetric fillers are used for various types of dairy products, and are capable of filling uniquely shaped containers. Used dairy product fillers can potentially provide the same level of efficiency as new models, with reduced prices. Fillers are only one type of machinery that dairy products utilize throughout the packaging process. Dairy products require a complete packaging system consisting of conveyors, inspection equipment, and wrappers, all of which are available used in working condition from the right resellers. A packaging company such as High Performance Packaging can help install a complete system with this equipment while helping packaging facilities save money. Trained technicians must determine if used equipment is operational prior to reselling, identifying and addressing any mechanical issues that may otherwise inconvenience buyers. This measure helps make sure that machinery is capable of giving production lines the same level of reliability as newer counterparts. The lowered cost associated with purchasing used and refurbished packaging equipment is the most obvious benefit of choosing used over new, but the right company can also offer other benefits to keep your production line in optimal condition. A company like High Performance Packaging offers supplemental services including installation, line start-ups, operator training, preventative maintenance scheduling, performance improvement, and OEE programs that can improve your equipment’s overall efficiency and increase your staff’s productivity. With a combination of equipment and services, your production line can serve you with consistent quality through long periods of use. Trained technicians can advise you on which equipment to use in your facility and provide appropriate services to keep your production line running the way it should. To receive additional information about our used dairy product packaging machinery along with a free quote, contact High Performance Packaging to speak with an industry expert. We can develop a custom solution consisting of our used packaging equipment, with many different choices available in brand name and specific options to meet your application’s needs. Our services also give your facility what it needs to give you the best results. You’ll be able to see a better return on investment with the affordable packaging machines in our inventory.